Nasa presidential candidate Raila Odinga. Nairobi — Supporters of NASA leader Raila Odinga are now urging him to explore options that promote peace in the interest of the country's stability. The NASA leader was on Wednesday expected to make an announcement on the way forward for the Opposition, after losing the presidential election last week. "I would like to say that as a resident of Kisumu, Raila Amolo Odinga can use a number of means to address his grievances with one of them including asking for international auditors to scrutinise the polls," one of his supporters in Kisumu said. "As we saw it, the elections had a number of small hitches here and there but that is past. I request Baba that when he speaks, he talks about issues that will contribute to the peace in the country," another stated. Odinga was expected to make the announcement on the next course of action Tuesday but his co-principal Musalia Mudavadi indicated that the issue at hand was weighty and needs further consultations by the coalition's summit which was still weighing its options. 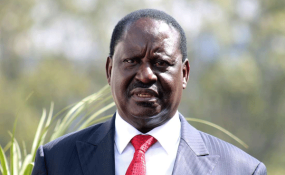 The international community and many within Kenya have urged Odinga to use legal means to express his grievances. The Opposition leader has now lost four elections and cried foul over results in the previous two. After the 2007 vote, Odinga's supporters took to the streets, and a resulting crackdown coupled with a wave of politically motivated tribal violence left over 1,100 dead.